This light also comes on when the Supplement Restraint System (SRS) is not working properly. If the air bag warning light does not come on, or continuously remains on after operating for about 6 seconds when you turned the ignition switch to the ON position or started the engine, or if it comes on while driving, have the SRS inspected by an authorized Kia dealer. If the ABS warning light remains on, comes on while driving, or does not come on when the ignition switch is turned to the ON position, this indicates that the ABS may have malfunctioned. If this occurs, have your vehicle checked by an authorized Kia dealer as soon as possible. 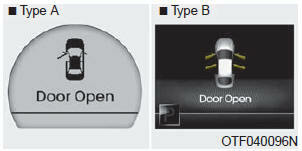 The normal braking system will still be operational, but without the assistance of the anti-lock brake system. If these two warning lights illuminate at the same time while driving, your vehicle’s ABS and EBD system may have malfunctioned. As a reminder to the driver, the seat belt warning light will blink for approximately 6 seconds each time you turn the ignition switch ON, regardless of belt fastening. If the driver's seat belt is not fastened when the ignition switch is turned on, the seat belt warning light and the seat belt warning chime will operate for approximately 6 seconds. But if it is refastened within the 6 seconds, the warning light will blink till the 6 seconds and the warning chime will turn off immediately. If the driver's seat belt is disconnected after the ignition switch is turned to the ON position, the seat belt warning light will blink for approximately 6 seconds. But if it is fastened within the 6 seconds the warning light will turn off immediately. If the driver's seat belt is not fastened when the vehicle speed exceeds 10 km/h (6 mph), the seat belt warning light and chime will operate approximately 11 times with a pattern of 6 seconds on and 24 seconds off until the belt is fastened or the vehicle speed decreases below 5 km/h (3 mph). The blinking green arrows on the instrument panel show the direction indicated by the turn signals. If the arrow comes on but does not blink, blinks more rapidly than normal, or does not illuminate at all, it indicates a malfunction in the turn signal system.You should consult your dealer for repairs. This indicator also blinks when the hazard warning switch is turned on. 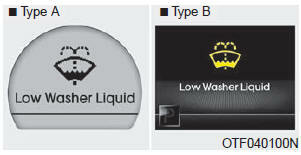 If the warning light remains on after adding oil or if oil is not available, call an authorized Kia dealer. If this happens, stop the vehicle as soon as it is safe to do so, turn off the engine and check the oil level. If the oil level is low, fill the engine oil to the proper level and start the engine again. If the light stays on with the engine running, turn the engine off immediately. In any instance where the oil light stays on when the engine is running, the engine should be checked by an authorized Kia dealer before the car is driven again. 3. 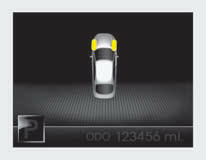 Do not drive the vehicle if leaks are found, the warning light remains on or the brakes do not operate properly. Have the vehicle towed to any authorized Kia dealer for a brake system inspection and necessary repairs. 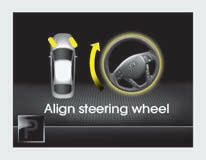 Your vehicle is equipped with dual-diagonal braking systems. This means you still have braking on two wheels even if one of the dual systems should fail. With only one of the dual systems working, more than normal pedal travel and greater pedal pressure are required to stop the vehicle. Also, the vehicle will not stop in as short a distance with only a portion of the brake system working. If the brakes fail while you are driving, shift to a lower gear for additional engine braking and stop the vehicle as soon as it is safe to do so. Driving the vehicle with a warning light on is dangerous. 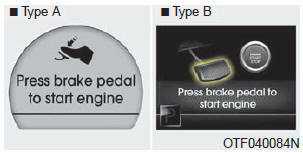 If the brake warning light remains on, have the brakes checked and repaired immediately by an authorized Kia dealer. This indicator comes on when the front fog lights are ON. 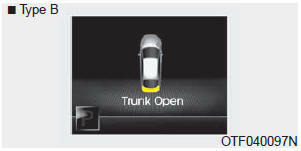 This warning light illuminates when the trunk lid is not closed securely with the ignition switch in any position. At this time, you can start the engine.The light goes out after the engine is running. If this light blinks when the ignition switch is in the ON position before starting the engine, have the system checked by an authorized Kia dealer. When the ignition switch is turned to the ON position and the indicator turns off after 2 seconds, the system may need repair. Have the vehicle checked by an authorized Kia dealer. This indicator is part of the Engine Control System which monitors various emission control system components. If this indicator illuminates while driving, it indicates that a potential malfunction has been detected somewhere in the emission control system. This indicator will also illuminates when the ignition switch is turned to the ON position, and will go off in a few seconds after the engine is started. If it illuminates while driving, or does not illuminate when the ignition switch is turned to the ON position, take your vehicle to the nearest authorized Kia dealer and have the system checked. If the Emission Control System Malfunction Indicator Light illuminates, potential catalytic converter damage. This could result in loss of engine power. Have the Engine Control System inspected as soon as possible by an authorized Kia dealer. The ESC indicator will illuminate when the ignition switch is turned ON, but should go off after approximately 3 seconds. When the ESC is on, it monitors the driving conditions. Under normal driving conditions, the ESC indicator will remain off. When a slippery or low traction condition is encountered, the ESC will operate, and the ESC indicator will blink to indicate the ESC is operating. The ESC OFF indicator will illuminate when the ignition switch is turned ON, but should go off after approximately 3 seconds. To switch to ESC OFF mode, press the ESC OFF button. The ESC OFF indicator will illuminate indicating the ESC is deactivated. If this indicator stays on when ESC OFF is not selected, the ESC may have malfunctioned. Take your vehicle to an authorized Kia dealer and have the system checked. The cruise indicator in the instrument cluster is illuminated when the cruise control ON/OFF button on the steering wheel is pushed. The indicator goes off when the cruise control ON/OFF button is pushed again. 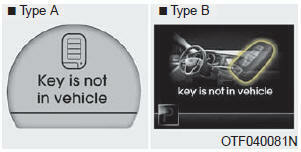 For more Information, refer to “Cruise control system” in section 5. 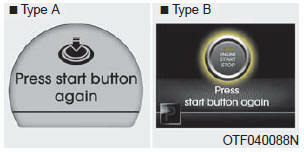 The indicator illuminates when the cruise function switch (SET- or RES+) is ON. 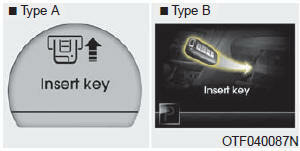 The cruise SET indicator in the instrument cluster illuminates when the cruise control switch (SET- or RES+) is pushed. The cruise SET indicator does not illuminate when the cruise control switch (CANCEL) is pushed or the system is disengaged. This warning light illuminates after the ignition key is turned to the ON position and then it will go off when the engine starts. This light also comes on when the EPS has malfunctioned. If it comes on while driving, have your vehicle inspected by an authorized Kia dealer. When the active ECO is operating, the ECO indicator is green. 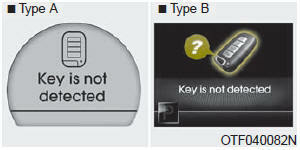 If the ENGINE START/STOP button is pressed to the OFF position when the smart key in the vehicle discharges, the warning illuminates on the LCD display for about 10 seconds. If the ENGINE START/STOP button is pressed to the ACC position twice by pressing the button repeatedly without depressing the brake pedal, the warning illuminates on the LCD display for about 10 seconds to indicate that you should depress the brake pedal to start the engine. 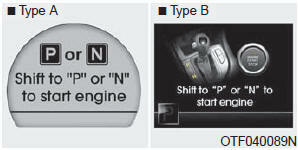 If you try to turn off the engine without the shift lever in the P (Park) position, the ENGINE START/STOP button will change to the ACC position. If the button is pressed once more it will change to the ON position. The warning illuminates on the LCD display for about 10 seconds to indicate that you should press the ENGINE START/ STOP button with the shift lever in the P (Park) position to turn off the engine. When you turn off the engine with the smart key in the smart key holder, the warning illuminates on the LCD display for about 10 seconds. Also, the smart key holder light blinks for about 10 seconds. To remove the smart key push the smart key once and pull it out from the smart key holder. The chime will stop if the ENGINE START/STOP button system works normally. If you try to start the engine with the shift lever not in the P(Park) or N(Neutral) position, the warning illuminates for about 10 seconds on the LCD display. You can also start the engine with the shift lever in the N(Neutral) position, but for your safety start the engine with the shift lever in the P(Park) position. If the ENGINE START/STOP button is pressed without Depressing the clutch pedal the warning illuminates on the LCD display for about 10 seconds to indicate that you should depress The clutch pedal to start the engine. 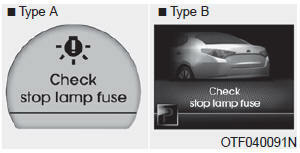 When the stop lamp fuse is disconnected, the warning illuminates for 10 seconds on the LCD display. Replace the fuse with a new one. If that is not possible you can start the engine by pressing the ENGINE START/STOP button for 10 seconds with the ENGINE START/STOP button in ACC. If you start the engine when the steering wheel is turned 90 degrees to the left after a couple of seconds, “Align steering wheel” illuminates on the LCD display for 5 seconds. Turn the steering wheel to the right and make it turned to the left less than 30 degrees. If you start the engine when the steering wheel is turned 90 degrees to the right after a couple of seconds, “Align steering wheel” illuminates on the LCD display for 5 seconds. Turn the steering wheel to the left and make it turned to the right less than 30 degrees. 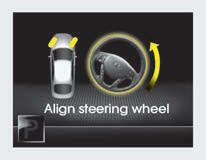 If the steering wheel is aligned within 5 seconds after “Align steering wheel” is displayed, the indicator will appear like the above picture. This indicator displays which door is opened. This indicator displays when the trunk is not closed securely. The illumination intensity of the instrument panel is shown when adjusting it with the illumination control switch. Displays the area an obstacle is detected while moving rearward. This warning light illuminates for 12 seconds when the washer fluid reservoir is nearly empty. To turn off the warning light immediately, press the RESET button for more than 1 second. Refill the washer fluid as soon as possible.